Choose Innerfuse for a better weld. We use a continuously fused alloy weld metal overlay barrier to deliver superior results. Our state-of-the-art equipment and processes deliver a high deposition rate and outstanding weld chemistry. Deposits are 100% fused for greater reliability and a longer life. Video welding provides excellent quality control. 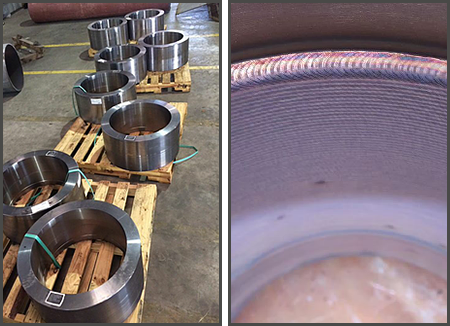 We record the entire welding process and provide data logging to ensure the finished product meets your requirements. Effective planning is essential for the successful completion of any project. Before starting work, we assess your goals and provide you with an estimate and timeline for completion. You will be involved at every step of the way to ensure complete customer satisfaction.